An updated action plan was unveiled by the Beijing government on Sept 19 detailing development of the city’s southern area over the next two years. The Southern Beijing Development Action Plan focuses on an area surrounding the Beijing Daxing International Airport and spreading to nearby districts, including Fengtai, Fangshan, Daxing and the Beijing Economic-Technological Development Area, according to the Beijing Development and Reform Commission, the city’s economic planner. The plan shrinks the amount of land for construction of buildings — currently 59 square kilometers — and increases green areas, including the forest coverage rate. A green belt will be built near the airport. In May 2019, a new airport subway line to the airport will be finished, with an integrated traffic network. Daxing district, a key part of the southern Beijing area, has focused on the infrastructure question. 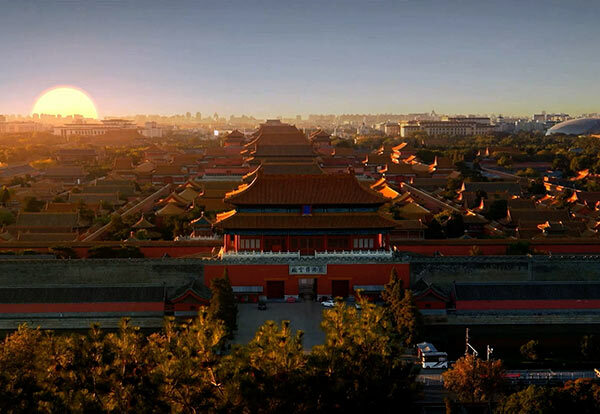 It has reduced the size of building footprints, freeing up 6,467 hectares of land, Li Qiang, deputy director of Beijing Daxing district, said on Sept 19. Beyond infrastructure construction, the action plan covers other aspects of the area’s development. For example, by the end of 2020, the afforestation area of southern Beijing will increase to 8,333 hectares, and clean energy sources will supply more than 95 percent of the electricity, the plan said. City planners also strengthened preschool education by expanding superior schools in Fangshan, Fengtai and Daxing districts. At least one of Beijing’s top three hospitals will be assigned to each district in southern Beijing, the plan said. High-quality hospitals will also establish branches in different areas. A southern branch of Peking University No 1 Hospital is expected to be completed in Daxing in December 2019. Government investment in the southern Beijing area will account for a substantial share of spending, said Wang Yingjie, deputy director of Beijing Development and Reform Commission. “It’s also a way to encourage the flow of more social capital” — spending by people on transportation, environment and medical treatment — in southern Beijing, she said.